​Holme Blinds of Wirral began when company owner, Paul Holme, who has worked in the industry for over 15 years, decided he wanted run a blind and window coverings business with a difference. Pauls mission was to offer a level of service to his customers that was not only professional and efficient but also individual and personal. For Paul, listening to your needs and requirements and combining this with his levels of expertise and knowledge of the industry in terms of window design is the perfect combination to create, supply and finally install the perfect solution for you. Paul prides himself on overseeing every job undertaken, from start to finish, therefore providing the attention to detail and quality that is so sought after by our customers. 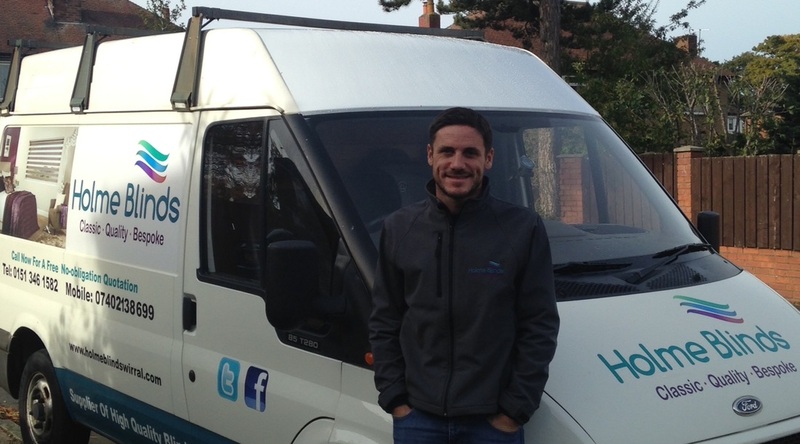 Based on the Wirral, Paul Holme has been supplying and fitting window solutions for households across the North West for over 15 years as well as contracting with commercial businesses for all their blind and solar solution needs. Paul has gained a vast wealth of experience in all aspects of blinds, window treatments and solar film. From manufacture, design, to installation, he's done it all and is perfectly placed to assist your every need, every step of the way!